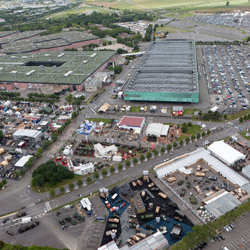 Coges history is closely linked to Eurosatory Exhibition history. 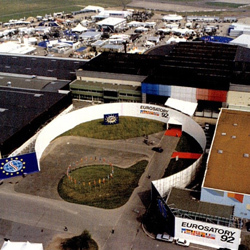 In the 70s, with the development of “Satory”, as the exhibition was called at that time, a handful of exhibitors decided to come together and set up the Comité de Liaison des Exposants de Satory – CLES (Satory Exhibitor Liaison Committee). As the Exhibition continued its international expansion, the two entities, CLES and GICAT, merged and founded COGES in 1993. In 1995, COGES became the implementing entity of GICAT’s decisions. Its scope of action expanded, beyond organising the Eurosatory event, and it began assisting GICAT with its policy to support French industrial exports and international outreach. 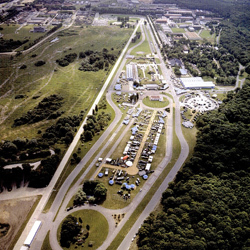 In 1998, at Eurosatory, COGES organised the first Business Meetings in the Defence and Security sector. Initially only in charge of the logistic part of the French Pavilions, COGES became from 1995 their organiser. Over the 2016-2018 period, more than twenty pavilions were organised around the world, ranging in size from 50 to 350 square metres. From 2013, to make available concrete export support means to GICAT’s members, COGES develops a regional exhibitions policy. In 2014, COGES becomes the prime contractor of the Expodefensa exhibition in Bogota (Colombia) that he organised since 2015 with his Colombian partner CORFERIAS and with the support of the Colombian Defence Ministry. In 2015, COGES bought the ShieldAfrica exhibition, the first edition took place in 2017 in Abidjan (Côte d’Ivoire). Find all the COGES news, the organiser of the leading international Defence & Security exhibitions on our Linkedin account.